Adapted from his 2008 short of the same name, Destin Cretton’s Short Term 12 is an impressively realised, heart-rending glimpse into the world of the foster care home, the kids who pass through and the carers who guide them on their way. Grace (an outstanding Brie Larson) is one such carer at Short Term 12, wise beyond her years her maturity and skill belie her age with her job affording her as many challenges as rewards. Assisted by boyfriend Mason (John Gallagher Jr) and newbie Nate (Remi Malik), Grace embraces the responsibility that comes with helping troubled teenagers through the hard times. The arrival of the headstrong Jayden (a superb Kaitlyn Dever) and a sudden change in Grace and Mason’s circumstances expose hidden depths and vulnerabilities and reveal similarities that bind them all together. Ostensibly this is a tale of relationships that plays out against what is a very challenging backdrop. Grace recognises herself in Jayden, a desperate, guarded girl, crying out for a semblance of love and understanding. Grace is willing to do anything to protect her, driven by a desire to confront her own demons and right prior wrongs. Their intertwining story is driven by Larson’s remarkable performance that is full of depth and nuance, peeling back layers of her character as her story develops. It all makes for cathartic fare and their journey is but one example of the brutal reality of what plays out in the background of these kids’ and carers lives. Mention too must be made of Keith Stanfield’s Marcus, who with his 18th birthday rapidly approaching is ready to leave Short Term 12 and venture out into the real world. Stanfield lends Marcus a conflicted demeanour, conscious of the gravity of leaving the comfort of Grace et al behind. It’s a terrific, insular turn, brimming with anger and unresolved issues, but always tinged with a degree of hope at the prospect that things will get better. 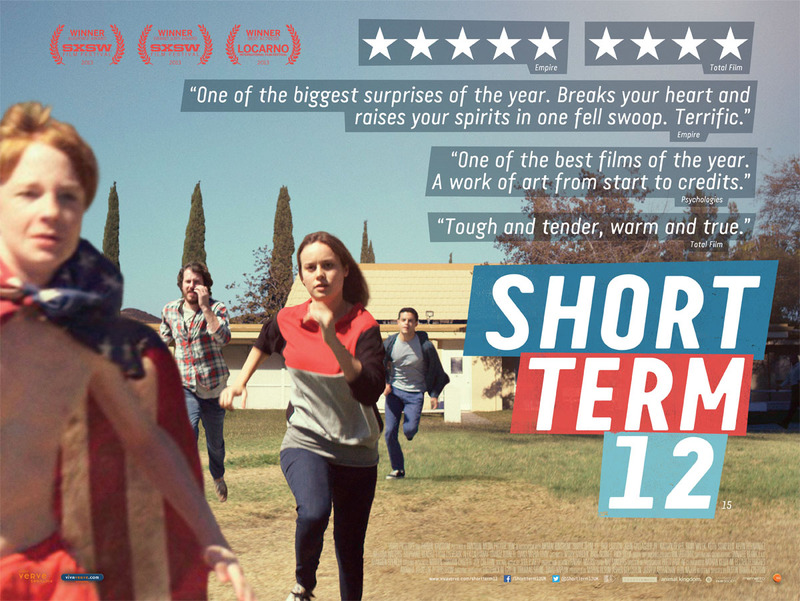 Short Term 12’s success owes much to Cretton’s pithy, grounded script that is well observed and considered, lending it a verity that invariably stems from his time working in such a facility. This autobiographical bent ensures that those little moments of respite, light and ultimately hope shine through amidst a fog of bleakness. It’s an assured, confident, incredibly honest piece of work that embraces the realities of the world that it exists in, avoiding sentimentality and crucially never once trivialises the stark and difficult truths that it confronts.